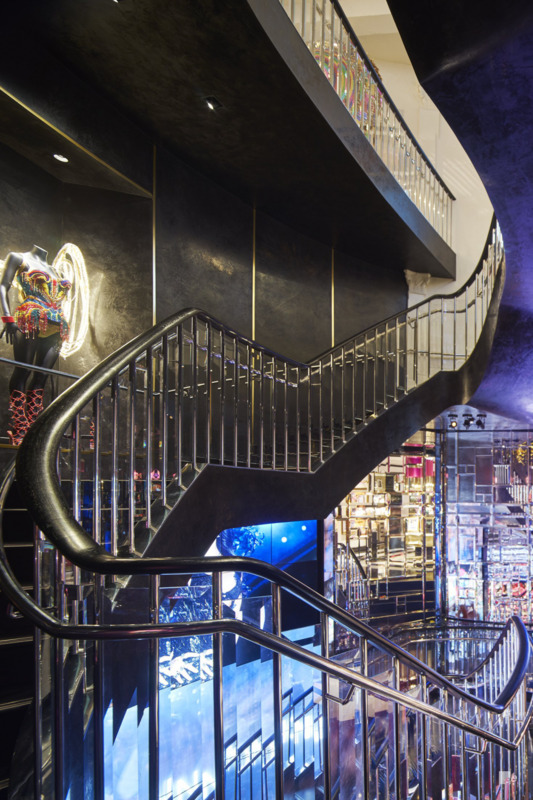 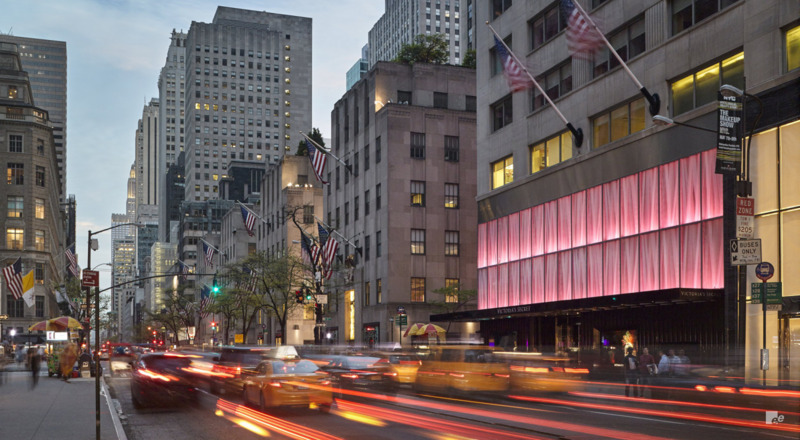 A new Victoria’s Secret flagship store on New York’s Fifth Ave required a large statement staircase spanning across three storeys. 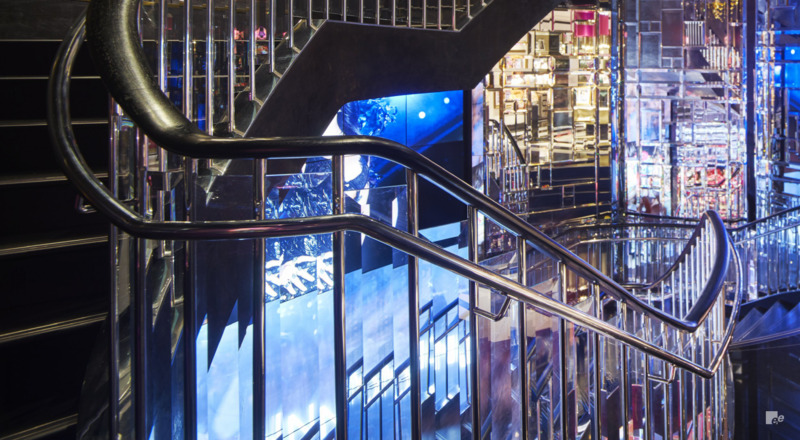 Three large flights of staircases were created, the top two for Victoria’s Secret, while the bottom flight is split between Victoria’s Secret and its sister brand, PINK. 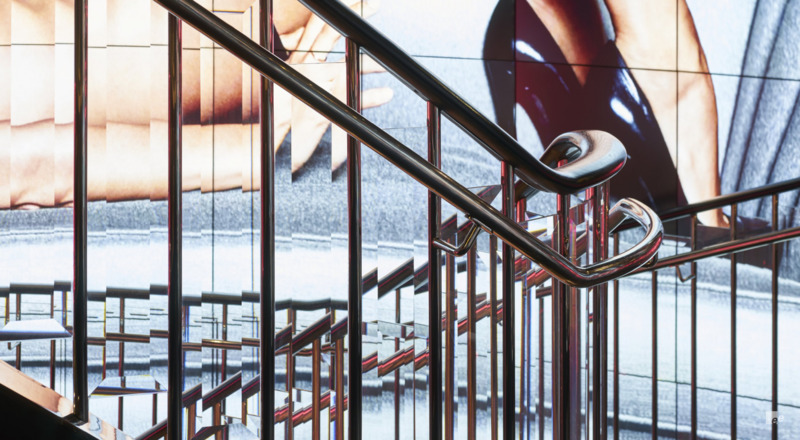 The top two staircases’ balustrades are formed from stainless steel and glass with polished stainless steel pickets. 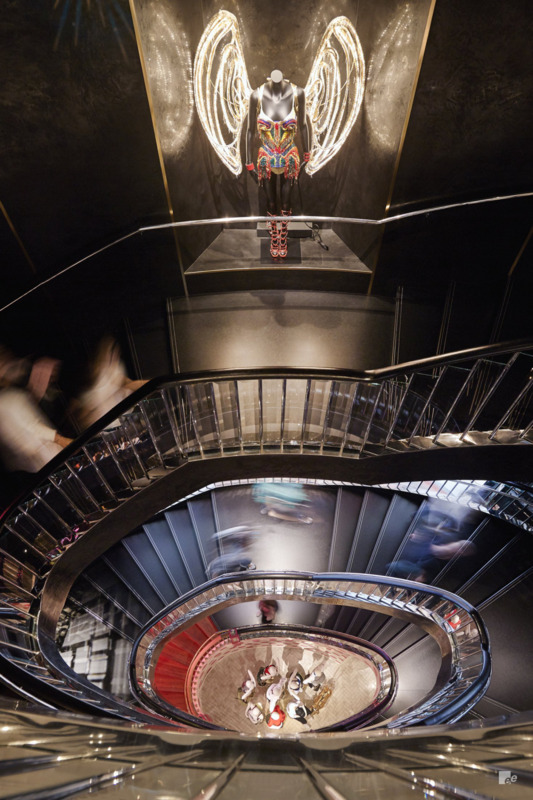 The lower balustrade is made with polished bronze pickets, and a polished bronze handrail.